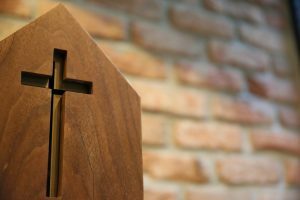 This won’t be a long post – if your Holy Week has been anything like mine, you’ve spent the past four days either in church, heading to church, or falling in a heap after getting home from the church, and it’s all turning into a bit of a blur! My mind, of course, went straight to Leonie’s Longing. 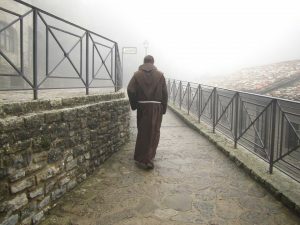 To leave religious life does indeed involve putting something to death – in many cases, it means the loss, whether temporary or permanent, of aspirations that had been cherished for years. And yet, a new life is being created for each of us out of the old one we once possessed. Our Lord was called a fraud, a bringer of false hope – this deceiver said that He would rise again on the third day – and yet, He kept His promise. He returned. The battered, tortured body that had been sealed in a tomb rose, alive and glorious. Nothing, not even death, could hold power over Him. May you rejoice in all the blessings of Easter! More recently, however, I’ve begun to wonder whether I might have to talk the Sorting Hat out of re-sorting me into Slytherin. Looking over the blog that’s been entrusted to me for nearly three years now, and seeing the weird characters that spring up more quickly than we can cull them, I find my thoughts turning to jelly-legs jinxes and bat-bogey hexes upon the hackers who caused all this damage. Thinking about the communication breakdown caused when all our contact emails on the website got knocked out – and you, the readers for whom we run this apostolate, couldn’t write to us for over a month – makes me want to call up a fleet of dementors and go pay said hackers a friendly social call for afternoon tea. Never mind. Being the Blog Mistress of a badly damaged blog has been a frustrating affair; we’re struggling up from the ashes, but we’re not there yet. Like Theresa, I’d like to ask you to pray for us – to Our Lord, Our Lady, Saint Isidore of Seville… all would be most deeply appreciated! I’d also like to make an additional request. We need blog content, and – let’s not beat around the bush – we need it badly! You’ll have noticed in the last few months that we’ve been getting by with Monday Memes, which are fun, but they’re not the profound, soul-healing stories and reflections that form the heart of our apostolate. Those stories come from you. If you’ve had an insight in prayer, read a moving book, or heard a saying that drew a response from you – please, we’d love to hear it. 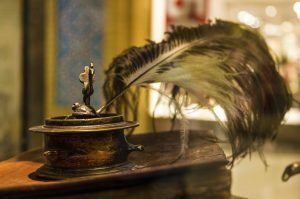 Our guidelines for blog post writers are very few and very simple: please don’t name or criticise specific religious communities, dispute Church teachings, commit plagiarism, or incite a flame war in the comments section. Everything else is up to you – topic, content, and length. You can write for your anniversary of entry, vows, or leaving; you can write a poem; you can write for the feast day of a beloved Saint. If you’d like some ideas for topics, or have an idea and want to talk it through, please write to me at blogcontent[at]leonieslonging.org. In the meantime, may you have a blessed Lent, and may the odds be ever in your favour! By Ignatia, continued from Part 1. Being able to hear God’s voice is vital for figuring out where He’s calling you now – if you aren’t listening to Him or giving Him space to talk to you, how can you know what His will is? So what’s another way to pray that doesn’t involve sitting still for an hour? A friend and I just started this prayer idea for Lent which might prove helpful. We had a one-day retreat recently at my school, and the priest giving the retreat was speaking about the desert fathers way back at the beginning of monasticism (ca. 4th century AD). He said that they left the cities because, after being legalized, Christianity had become something associated with status, and they felt like they needed to experience difficulty in order to progress in holiness. One of the things that they wrote about was their thoughts – that is, those stories we tell ourselves all day long to narrate what’s going on around us. And they recognized that our thoughts are really, really powerful – the things you think enter into your subconscious and manifest themselves in your actions. And negative thoughts, they said, were particularly potent. They also recognized that temptations generally started not with passions or emotions, but with a thought. So they tried to figure out how to battle these lies that they found themselves telling themselves all the time (the negative thoughts), and they figured out that they needed to replace the lies with truth whenever they came up. If you have ever done any cognitive behavioral therapy, this might all sound rather familiar. Modern science and psychology has “discovered” many of the same things that the desert fathers knew back in the 4th century. But what the desert fathers did that went beyond what most modern therapists do, is that they took the next step: I need to replace these lies with truth, but where is Truth found most of all? In Scripture. So they would memorize Scripture to have ready as a “weapon” against the thoughts – similar to the way the Lord used Scripture during the temptation in the desert. Our retreat master told us the story of a monk who had been in the desert for ten years. One day, he went to get water somewhere near a village, and he saw a woman there. And immediately, the thought came into his head: “Why am I out in the desert doing all this penance? It would not be so bad to get married. Look, this woman is all alone – she probably needs someone to provide for her. I could do that. I could leave behind this penitential stuff and go help her.” But he knew that it was a temptation and not the authentic voice of the Holy Spirit. And the verse that he had been meditating on that day was “The Lord is my Shepherd, there is nothing I shall want.” He immediately began repeating this verse over and over, attacking the temptation and reminding himself to find his comfort and fulfillment in the Lord alone. So what our retreat master encouraged us to do was to have a “word” from Scripture every day that we read either before going to bed or when we wake up in the morning, and that we then carry with us throughout the day, maybe writing it on a sticky note and putting it someplace we’ll see it. We should keep it very close to us and think about it throughout the day, so that if at any point during the day someone were to ask “What is the word you’re carrying today?” we could answer without hesitation. Based on this, my friend and I have decided to work our way through the Psalms using this method – one verse every day. And that one verse is the “word” that we read and think about and give to the Lord to fill it with meaning for that day. This means that it’s really about Him: We’re not picking verses we like, we’re just working through them as they come and waiting to see what the Lord does with them, asking Him to help us understand them and to hear Him speaking to us through them. And when we find ourselves falling into negative thoughts during the day, we can use this word as a weapon against it. So the thought might occur to me “I’m such a failure, I’m never going to be able to do anything with my life” and instead of agreeing with it or trying to fight it on my own strength, I can respond by repeating that verse over and over. It redirects my thoughts to the words of the Lord in Scripture instead of getting stuck thinking about how much of a terrible person I am. 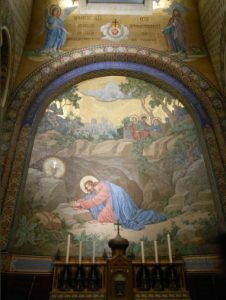 And the fact that the desert fathers – and even Jesus Himself – used Scripture in this manner to fight temptation gives me the confidence that this is an ancient practice in the Church in which I can trust. Recently, my verse of the day was “Therefore the wicked will not stand in the judgment, nor sinners in the congregation of the righteous” (Psalm 1:5). I can’t say that I was thrilled with this verse – it just didn’t seem to say much to me. But I was determined to do my best to let the Lord use it to speak to me and to let Him fill it with meaning. To my surprise, a verse from the Psalms immediately ran through my mind: “The Lord is my light and my salvation, whom should I fear? … Of whom should I be afraid?” (Ps 27:1). And with it came a sense of peace. 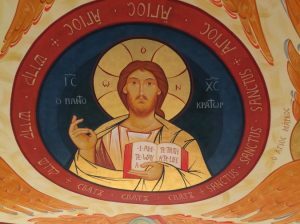 I spent the rest of Mass – and then the rest of the day – repeating that beautiful verse which I am sure the Lord gave me to help me. It continues to give me comfort and the strength to continue to process some of the more painful memories from my time in the convent even now, a week later. I have to admit that I hadn’t envisioned this practice turning out that way – I had anticipated the Lord suddenly giving me an insight into the verse I’d originally had, not give me an entirely new one! But somehow He always manages to surprise me, and is constantly reminding me not to box Him in. So I am learning even through lessons like this one to rely even more fully on the Lord and to remain open to His voice, however it comes to me. Perhaps you’re in a place where a daily holy hour isn’t possible for whatever reason, or you want to pray with Scripture more but can’t afford to set aside any more time for prayer than you already have. 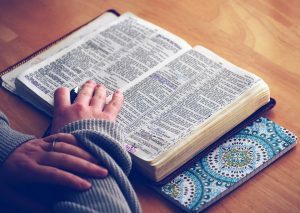 I hope this method of praying with Scripture will prove helpful – it’s less intimidating than committing to a holy hour every day, since it only takes a few minutes at the beginning or end of your day, and then a brief moment now and again to recall that one verse while you’re “on the go”. It can help combat the negative thought cycles we so easily find ourselves caught in, and it’s a beautiful way to incorporate the Word into your everyday life, giving Him the opportunity to speak to your heart in His own words. St. Anthony and all the desert fathers, pray for us! When I left the convent, I almost stopped praying altogether because it hurt too much. Every time I walked into a chapel I burst into tears: that had been the center of convent life, and that’s where everything that was really important happened, and I was so angry with the Lord that He hadn’t helped me stay, and so hurt, and so disappointed – and at the same time, I was completely terrified that I had walked away from Him, that I’d disappointed Him, that I’d left just because it got hard. If it hadn’t been for a priest at my parish who reached out to me (who’s now my spiritual director), I might have just stopped praying and eventually lost my faith. Recently, as we were discussing the phenomenal growth that I’ve experienced in my relationship with the Lord in the year and a half since I left the convent, Father, too, acknowledged how precarious my faith was at the beginning. The first time I met with him, only about 5 days after coming home, the first question he asked me was “Are you praying?” He was the only person I talked to after leaving who knew to ask me that question, and who knew that the answer might be “no”. He himself had once been in a similar position, having discerned out of seminary (he re-entered later), so I suppose he had the insight that personal experience brings. 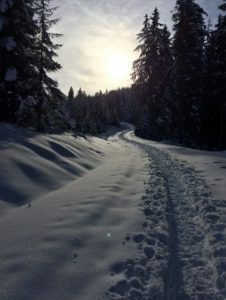 When I told him that, indeed, I was not praying, he rather sternly told me that I needed to be praying a holy hour every day, especially because I wasn’t doing anything else at the time – I didn’t have a job yet so I was just home by myself all day. It took me a long time to really get into the habit of doing that – every confession for at least a month and a half included “not praying” – but eventually, with his encouragement, it started happening regularly. 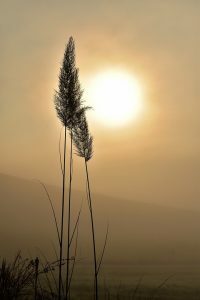 At the beginning, I felt like I had to re-learn how to pray – I no longer trusted myself to recognize the Lord’s voice, and I had to ask my spiritual director to explain to me how to pray as though I had never done it before. For weeks, all I did during my prayer time was cry. Cry and yell at the Lord and tell Him how confused and hurt I was and how I didn’t understand any of this and how I hated Him for abandoning me and not helping me stay and how I hated myself for walking away from the convent and from Him. So it was pretty tough … but by some grace of God, I was able to stick with it and it slowly got easier and less painful. I’ve discovered since then that it’s normal to struggle with praying when you leave the convent. I’m pretty sure every woman I’ve talked to who’s been in that situation has mentioned not being able to pray, or not wanting to, or not knowing how to anymore. But what to do about it? Obviously, I’m a big fan of the holy hour every day plan – it has helped me to get to a place where my faith is stronger and more real than it ever has been before. 10 minutes of just sitting with the Lord, recognizing His presence and looking at Him – and letting Him look at me. 15-20 minutes of Lectio Divina or Ignatian meditation on the Gospel of the day, allowing the Lord to speak to me through Scripture. 15-20 minutes of spiritual reading or another devotion, like praying the Rosary or Divine Mercy chaplet. Most of the time, I just prayed with the Gospel, or, if I felt that wasn’t fruitful, I picked up a book. I read parts of St. Faustina’s diary, all of Benedict XVI’s “Jesus of Nazareth”, a book called “Edith Stein and her Companions” (highly recommended, by the way – there are a number of people who were martyred with St. Edith Stein who had previously left religious life!) and a number of other books during the ten months I spent at home “recovering”. Still, doing a daily holy hour isn’t the only way to pray, nor is it necessarily the best way for you right now. It really depends. It could be that you’re experiencing a lot of anxiety, so trying to sit in the chapel for an hour might not work well. Or perhaps you have a full-time job, and just don’t have an hour to spend in the chapel each day. The important thing is giving the Lord space and time to speak to you, whether that’s in the chapel or out on a walk or in a prayer space in your room or at the library or on your lunch break at work or wherever. Being able to hear His voice is vital for figuring out where He’s calling you now – if you aren’t listening to Him or giving Him space to talk to you, how can you know what His will is? These quotes from the opening pages–and the lines of innumerable pages along the way–of the delightful fictional story Sister Mary Baruch: The Early Years may ring a bell or two within your heart. Anyone who has ever been in religious life for any amount of time will find this tale of a young Jewish woman in the 1960s who converts to the Catholic faith and enters a Dominican monastery to mirror some of her own story. Early on in the book, you will meet her devout Catholic friend who not only challenges her to go jogging (sure, but the tucked-away candy bars certainly help along the way!) but also is the reason she makes her way into a Catholic church to light a candle of hope and prayer one day and finds her life changed forever. As you follow the spiritual journey of Rebecca-turned-Sr. Mary Baruch, you may see yourself, but for sure, you will laugh, and you may even cry! Written by a Dominican priest, Fr. 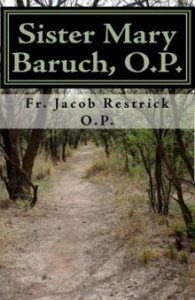 Jacob Restrick, the story offers a true inside look at monastery life as you watch Sr. Mary Baruch grow in her walk of holiness. You will feel her struggles, laugh at her foibles, and rejoice at realistic stories of God’s grace. And when you get to the end and wish there were more… don’t worry, there is a sequel, Sister Mary Baruch: The Middle Ages. The only “complaint” I have about the book is that she is fictional: she seems so real that you will be tempted to pray to her! By Jacqui, re-printed from her blog Talitha Koum with kind permission. Please pray for her as she begins her volunteer work at at orphanage in India! The past year has been such a journey. As we near New Year’s Eve, I am seeing more and more comments on social media about how terrible this year has been…as a whole. I have been conflicted in my response. Yes, people died. We, as a society, have mourned the loss of many celebrities this past year. But, how many people have lost a friend or a loved one? How many parents have had to lay a child to rest too early? Personally, I have been to two infant funerals in 2016, and was not able to attend another. Dear friends of mine, who lost their babies all too soon. I imagine their pain is overwhelming. Yet, I admire their determination and faith, that in the Lord’s time, all pain and sorrow will be healed. They have not dwelled only on their loss…they have found moments of joy and great blessing. They have chosen to look at the graces of 2016 and to look forward, in hope, to a new year. A new beginning. A fresh start in living out their lives of faith and trust in Divine Providence. As I reflect on my own life, this past year, there are many moments of great pain and sadness. There are moments of death. Moments of utter abandonment. Moments where spiritually, there was only great darkness and a deeply penetrating feeling of despair or hopelessness. How easily I could look back and say, “Thank God, this year is finally over! It was such a terrible year. Hopefully 2017 will be better.” Yet, I choose to see God at work in my life. I choose to not focus only on my hard times, losses, etc. I was living my life, as Sr. Emilia. I lived the life that, for as long as I can remember, I have always dreamed of. Then, in discernement, I began to pray about being called to an openness…to the idea…that I was being called to leave religious life to discern marriage. That was a huge time of fear, faith, trust in the darkness, excitement, etc. It was a gift…even in the pain. I attended a Theology of the Body course retreat, in PA. That retreat literally, “changed my life!” I had no idea how beautifully painful that week was going to be. The Lord showed me throughout that week, His great and abiding love. The phrase I used after that week was, “…it felt like I had been stripped and beaten, then hung up to dry, alone.” It took me months to connect that imagery, to that of Christ, on His own Cross. Then, my pain (because it was on that retreat that I discerned I was called to marriage…which meant leaving my life and sisters at the monastery) became beautiful…because it was united with our Bridegroom’s Cross…the marriage bed of the Lamb. I left religious life in May. I lived with my Granny for a time. I lived on Kelley’s Island for three months. I applied and was accepted for a time of volunteering in India. I moved home to prepare for that mission. Now, we are just 6 days from my departure to India! I will live the first 5 months of 2017, on the other side of the world. 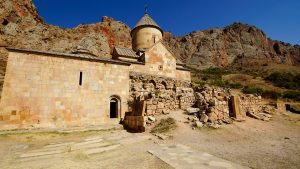 There were SO many days of great pain and sadness, as I adjusted to my new life outside of the monastery…without community…without such intense and beautiful prayer. Looking back, I see only growth and the gift of the Father’s love. There are no regrets. Yes, I could focus on the many wounds and struggles, the deaths of family and friends, etc. but I have chosen to look back at 2016, with gratitude. I choose to see the many gifts bestowed upon my life, as well as the times when I failed to live my life in holiness. I choose to look forward to 2017…not in the hopes that “2017 will be better,” or “to forget 2016!” No, I look foward to this new year of blessings and growths…trials and pains…adventures and the unknown, while remembering the past year and how it helped to bring me to where I am. I implore you, my friends, to take a look at your own lives and focus on the blessings…even in the face of pain. Seek to find the good. What graces were you given this past year? What moments did you see growth in? Have you taken it to prayer? Have you thanked God for His love and blessings? Happy New Year! May it be a year of abundant growth and happiness.